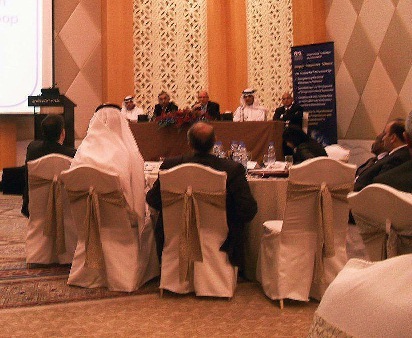 The PAO Development Committee, in coordination with the Saudi Organization for Certified Public Accountants and with the generous support of the Institute of Chartered Accountants in England and Wales, held the Middle East North Africa (MENA) Professional Accountancy Organization (PAO) Development Roundtable Workshop in Dubai, UAE on September 20, 2011. The workshop brought together PAO representatives from across the Middle East and North Africa to discuss the importance of PAOs in financial sector and economic growth; the importance of IFAC Statements of Member Obligation (SMOs); the role of the IFAC Action Plan process in strengthening PAO strategic planning and development; and the challenges and success factors for the development of PAOs in the region. This event drew 30 participants from 11 national-level PAOs, three local branches of global PAOs, UAE stakeholder organizations, aspiring regional organizations, and the World Bank.